Sadly the new ladies won’t be coming up to Scotland. The Rescue people have decided that it would be too much stress on the birds to transport them, we are a wee bit disappointed 😦 , but the birds welfare comes first. On Saturday 31st May 2008 I head off to Dundee to meet up with Sue from the Neeps Forum to collect the latest new additions to our family. Their journey commenced in England, at the begining of this week and a total of 2,000 have been saved from the fate of ending up as cat/dog food. A huge rescue operation headed by a fantastic team of volunteers, has seen them relayed up the country, with drop off points along the way to their new homes. 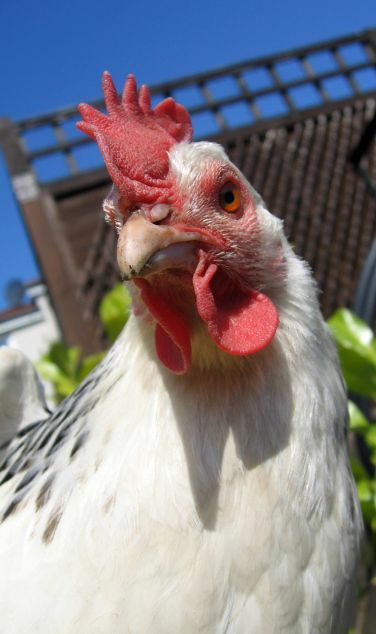 We are giving a home to two rescued ex-battery hens, I will do a more in-depth post including pictures this weekend once the ladies are settled into their new home. p.s. We have not settled on names for them yet … so if you have any suggestions, they would be very much appreciated. Place all the ingredients into the jar put on the lid and give it a good shake until it emulsifies, then its ready to serve. It also stores well, and because its already in a jar with a lid it can just be put straight into the fridge once you have dressed your salad. Its cheap to make too, using basic storecupboard ingredients..also easily thrown together in a matter of seconds and a tastey addition to your salad. 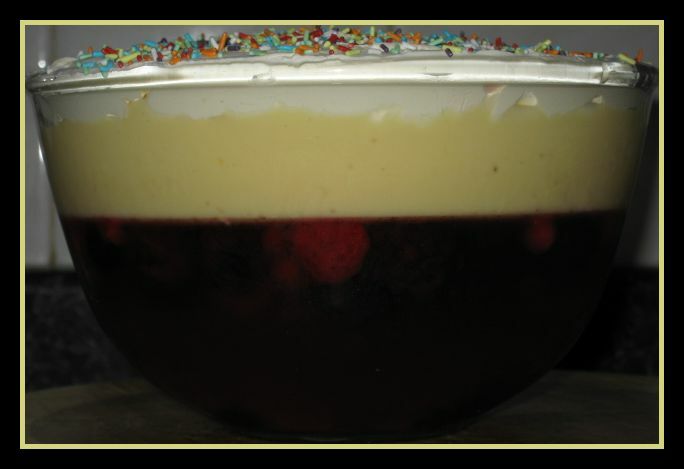 Trifle is a big favourite with with the kids and my O/Half, so to be able to make one at a fraction of the cost of buying one from the cold counter in the supermarket… It was an absolute bargin..
A strike by employees of Norway’s civil aviation authority Avinor spread further on Tuesday, shutting down more airports including the one serving the country’s oil capital of Stavanger. That means the strike now threatens operation of offshore installations, in addition to disrupting travel plans for tens of thousands. Tor Børre Gaasland managed to get a flight from Bergen to Oslo just before his airport closed on Friday. Now thousands of others aren’t so lucky. With the strike now starting to affect the country’s oil industry, some observers say it’s just a matter of time before the government steps in to force negotiations and bring the labour action to an end. As of mid-morning Tuesday, however, there still hadn’t been any contact between the two sides. Officials at both Avinor and the union representing Avinor employees, LO Stat, each claim the other must take the initiative for more talks. Wage hikes remain the key area of conflict. Additional airports closed include Stavanger Sola and those serving Sandnessjøen, Sogndal, Alta in northern Norway, Svolvær and Leknes. Airports already closed included those serving Bergen Harstad/Narvik, Molde, Mo i Rana, Mosjøen and Kristiansund. Western Norway is thus being hit the hardest by the strike of just over 400 Avinor workers. With Haugesund’s airport the only one remaining open for scheduled traffic, tens of thousands of passengers are being stranded by flight cancellations. Most were having to drop trips, cancel business meetings or scramble to find other means of transport. Some have been able to secure train seats, but rail travel isn’t an option for many trying to travel along the coast. Operators of North Sea oil installations quickly tried to move their helicopter operations that carry workers to and from rigs to Haugesund. Its airport is now operating at full capacity, though, and can’t offer any more takeoffs and landings. Although Norway’s main international gateway airport at Oslo Gardermoen remains open, some 10,000 passengers there were expected to be affected since so much domestic air service is grounded. On Friday, I took a trip to my local supermarket to get a few provisions in… and right at the front door, there stood a couple of buckets with reduced price flowers in them.. I wandered over and took a peek to see if I could find a bargin and also a treat for myself, seeing as I absolutely adore flowers.. 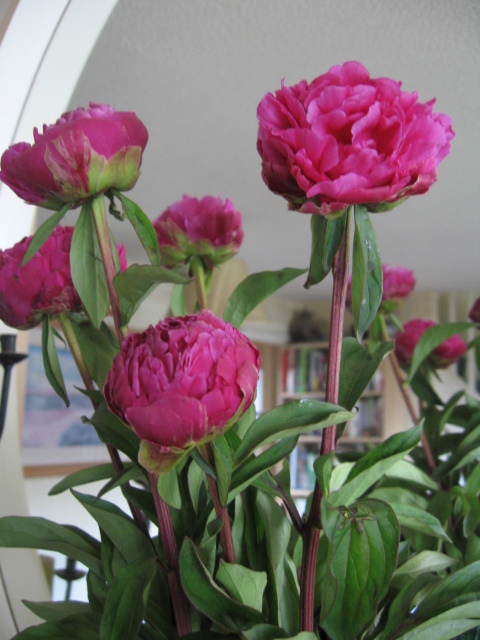 I was lucky enough to find this bunch of Peonies marked down to 30p from a staggering £5.99! When a crisis hits the household, my way of coping and thinking things through is ….I go into baking mode. I wonder how many other people do this? 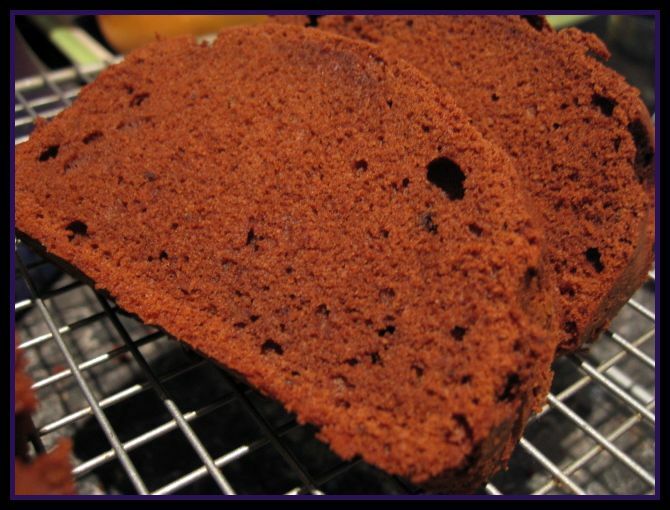 Anyway, here is the recipe for the Chocolate Loaf – I made mine completely organic. Put Margarine and Caster Sugar into the mixer and mix until pale and fluffy. Aff the eggs one at a time and mix until incorporated. Add the teaspoon of vanilla extract and mix in. 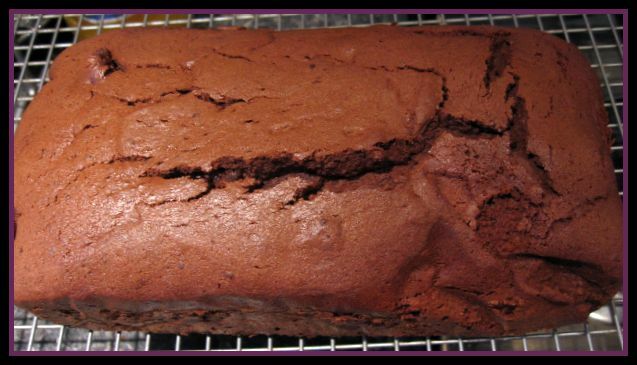 This is sooo much better than any shop bought cake, I know what went into it, I know I’m not filling my kids full of additives and preservatives…. but most of all its cheap to make and delicious to eat! I was going to make a chocolate frosting for the top, but the kids couldnt wait and wanted a bit as soon as it was cool enough to handle and eat. 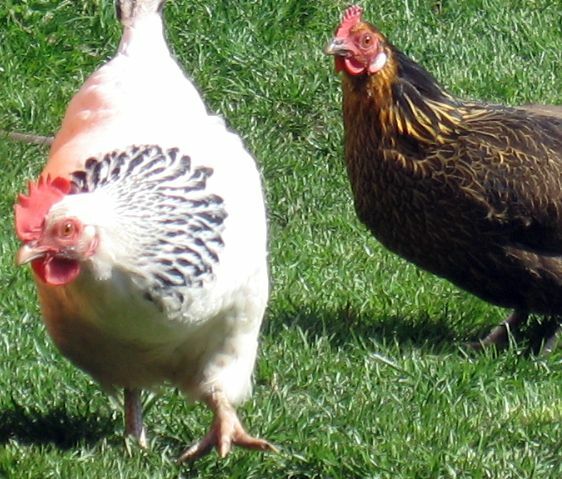 Its a lovely sunny morning here, the girls are out having a scratch around the garden for bugs and stuff, so I took the opportunity to get some pictures of them both. Its quite difficult to get pictures of chicken little (the brown one) as she is soooo flighty, I wonder what she said to daisy in this picture to get her to look up at me …..
Thousands of travelers were left stranded Friday morning after workers went on strike at five Norwegian airports. Talks between their union and the country’s civil aviation authority Avinor failed to result in a settlement. Flights in and out of the affected airports were cancelled Friday morning. Bergen is among the worst-hit by the walkout, after its airport was forced to close because it no longer had enough staffing to handle an emergency. The other airports affected are those serving Harstad and Narvik in northern Norway, Molde, Mo i Rana and Mosjøen. Some workers at Norway’s main international gateway airport, the Oslo airport at Gardermoen (OSL), also walked off the job but OSL was able to remain open. All flights to the airports that are closed, however, were cancelled. The airport at Kristiansund on Norway’s northwest coast will likely close from Sunday if the strike continues. Only 220 workers spread over the five airports were taken out during the first phase of the strike, but that was enough to leave the airports short of adequate emergency personnel. The conflict is primarily over wages. Avinor “simply didn’t offer enough money,” said a union representative. If no progress is made in subsequent negotiations, another 158 workers will go on strike at the airports in Oslo, Alta, Leknes, Sandnessjøen, ,Sogndal, Svolvær and Stavanger from May 20. Oslo’s airport was hoping to keep its international operations functioning. Passengers were advised to stay in touch with their airlines for information on departures and arrivals. You might be asking yourself how on earth has this got anything to do with Townie’s blog? Well my husband is due to fly home today from Bergen Airport… he phoned me last night in a panic, he is there with 3 of his mates on their yearly fishing trip, they have been speaking with the locals and they reckon their only chance of getting home is to go to Stavanger Airport and try and get their tickets transferred by the Airline… simple you may think… nope…. nothing is ever that simple… Stavanger is a 5 hour ferry ride away, they need to get themselves to bergen and drop off their hired car, get themselves to the ferry port, hopefully get on the boat and get to stavanger before 3.15 today to catch the flight..
I’ll update later once I find out more as the day progress. UPDATE : He managed to Get home!! Yipeeeeeeeee…. 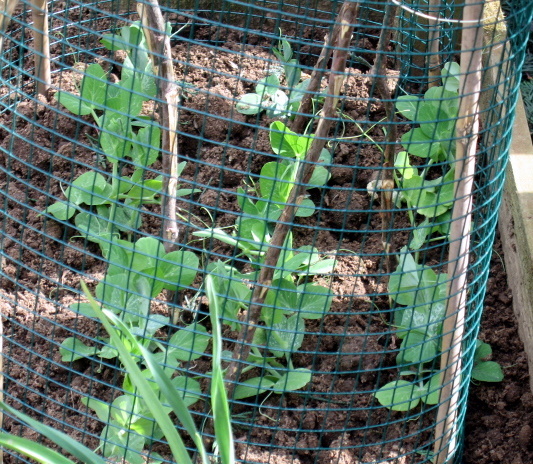 A few weeks back my daughter planted some peas in the greenhouse, she only planted around a dozen. They are now ready to go into the garden, and yesterday we planted them out into the 3rd raised bed. 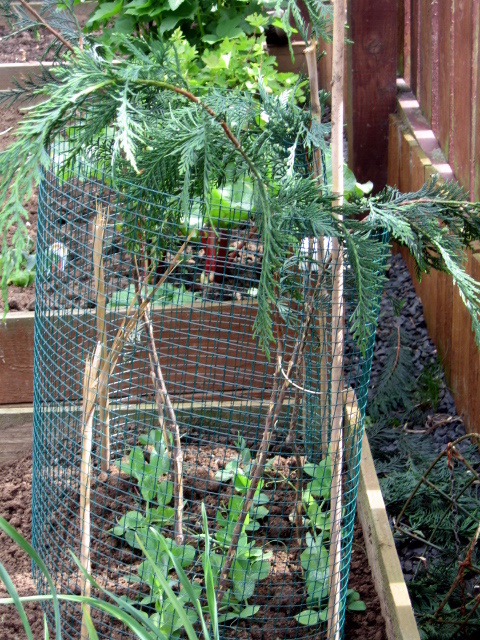 We used some chicken mesh, Bamboo canes and Stripped conifer branches to stake them out, we left a bit of the foliage at the top of each stake to protect them from birds etc.